Is justice your middle name? Are law and order your best friends? Police Courses can be used as a pathway to forge your career into the police force. Police Courses have been designed for students to develop the knowledge and skills of law enforcement personnel. Generally, they also delve into current policing activities from a diverse range of policing fields and jurisdictions. Police Courses also develop students’ problem solving and independent reflecting skills, through their study of policing policy and practice. Lead Australia into a secure future and play a key role in the dynamic world of security and intelligence by studying a police course. In an increasingly security-conscious and changing world, we’re more aware than ever of our vulnerabilities and the unique challenges faced by our changing society. Skilled police, security and intelligence professionals who are capable of managing security situations are in strong demand, and by studying a police course, you’ll build the essential skills to make a real difference in our safety and wellbeing. While you may pursue a career as a police officer after completing a police course, you can also seek employment in a range of security roles, depending on the aspects of security you study. You can learn about the use of intelligence in law enforcement, and seek employment as an intelligence analyst; study foreign policy and diplomacy to help develop policy; or learn the theories that underpin domestic and international security management, in order to contribute to strong global governance and safety management. You can study a police course at a range of levels, ranging from a certificate qualification to a bachelor’s or master’s degree, or a post-graduate diploma. If you’ve already been working in the police sector, your experience may count towards an academic qualification – which, in turn, can help enhance your career opportunities by broadening your skillset. After completing a police course, you may choose to work in a range of roles in the security, intelligence counter-terrorism and policing industries, in roles including working as an intelligence officer, risk analysis and security manager. What do police graduates do? Police course graduates can work in a variety of roles in the security and law enforcement sectors. If you choose to pursue employment as a police officer after graduating, you can expect to work to maintain public order and safety by patrolling areas, investigating accidents and complaints, examining crime scenes, prosecuting offences, obtaining and managing evidence, testing and directing drivers in traffic, and managing and filing reports. You’ll also be expected to work as a public face of the police force, attending community meetings and speaking with the public as a member of the police force. If you choose to work in the risk, intelligence or counter-terrorism sectors, you’ll likely work in an analytical role. You may perform tasks like conducting research, interpreting data, cataloguing and analysing surveillance information, and contributing to publications and policy documents. You may also choose to start working towards a career as a police officer. 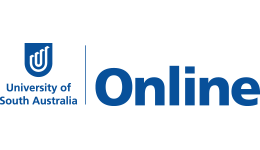 While Australia police officers only need a high school qualification to be eligible to apply for a role as a police trainee, candidate increasingly pursue a year or two of academic study first, by undertaking a qualification like a diploma or graduate certificate. The Australian Government Job Outlook observes that the most common qualification level for police officers is an advanced diploma – 39 per cent of police officers have a qualification at this level. Is police right for you? Job Outlook predicts the police industry will expand over the next decade. Currently employing approximately 58,000 people over Australia, the profession is already considered large, and will expand to hire approximately 8,000 more people by 2020. Job opportunities are expected to grow strongly and will likely be available all over Australia. According to PayScale, a police course graduate working as a police officer can expect to earn between $49,000 and $100,000 per year, with an average salary of approximately $70,000 per year. PayScale notes a positive relationship between experience and earning capacity, with people who have 10 years’ experience earning up to $10,000 more per year with less than five years’ experience. If you progress to working as a sergeant, you can expect to earn between $64,000 and $120,000 per year, depending on your experience. Completing a police course will also qualify you to work in a range of management and advisory roles in the security sector. As an intelligence analyst, you can expect to earn on average $73,000 per year, and as a security manager you can expect to earn on average approximately $79,000 per year.